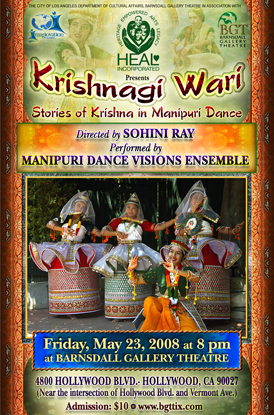 Manipuri Dance Visions Ensemble pays homage to late Guru Bipin Singh (1918-2000) by recreating his original choreography of Gita Govinda on his ninetieth birth anniversary. 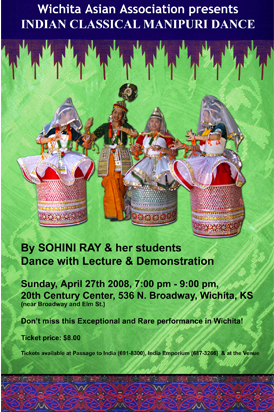 Dancers:Alma Cielo, Naila Azad, Krishnakali Dasgupta, Sohini Ray. Musicians:Samar Das, Sudakshina Alagia, Radha Prasad. Tickets $ 7, Students, Senior and DRC members $5.